If you suffer from asthma, you’re painfully familiar with the sensation of being trapped inside the prison of your constricting lungs. Shortness of breath, wheezing, coughing and dizziness are all symptoms you live with on a daily or weekly basis. If you suffer from asthma, you’re painfully familiar with the sensation of being trapped inside the prison of your constricting lungs. Shortness of breath, wheezing, coughing and dizziness are all symptoms you live with on a daily or weekly basis. Worse yet is the panicky feeling that comes with not being able to breathe deeply and freely. Your inhaler gives you only minimal, temporary relief, and you’re fed up with restricting your activities to accommodate your asthma. Maybe you’re ready to try a new approach to managing your condition. Medical cannabis may be able to provide the relief you’re looking for. The idea of smoking may leave you feeling decidedly short of breath, but studies have shown that either smoking or vaporizing medical cannabis can actually reduce the nagging symptoms of asthma sufferers, and it can even bring much-needed relief at the onset of asthma attacks. 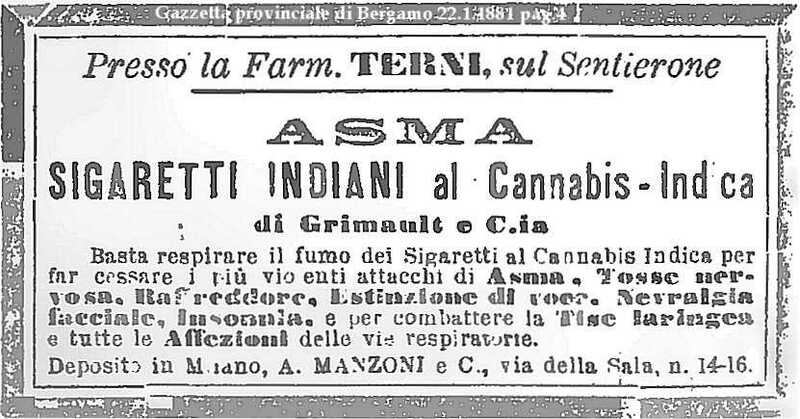 Although it may seem like a fairly new concept, people have actually been using medical marijuana as an asthma treatment for hundreds of years. The Chinese emperor Shen Nung is thought to have discovered the medicinal properties of cannabis as early as 2700 BC, and historians have realized that Egyptians used marijuana for conditions such as asthma and glaucoma in 1213 BC. Letters from celebrated author Marcel Proust to his mother show that, as a lifelong asthmatic, he relied heavily on the use of weed to quell the symptoms of his frequent asthma attacks. He even referred to joints as “anti-asthma cigarettes”. How Does Medical Marijuana Reduce Asthma Symptoms? When you have an asthma attack, the small airways in your lungs constrict, causing shortness of breath and a painful tightness in the chest. The THC in medical cannabis has been proven to be an effective bronchodilator, which means that it relaxes and widens these airways, allowing more oxygen to flow freely through them. The reason for this is not entirely known, although it is thought that airways in the lungs contain cannabinoid receptors which react strongly and favorably to THC. The best strains of medical marijuana not only act as bronchodilators, they can also help eliminate the fear and anxiety that go hand-in-hand with asthma symptoms by relaxing and calming your mind. Indica-dominant strains in particular are a highly-effective soothing agent when anxiety over asthma symptoms sets in. 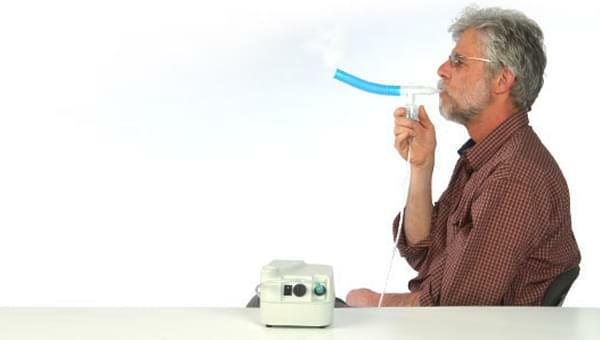 In short, medical marijuana can be a completely life-changing tool for asthmatics. Although several important studies have been conducted regarding the medical benefits of weed, a landmark study conducted by Dr. Donald Tashkin, first published in 1975, strongly suggests the sound medical evidence behind the use of medical marijuana for asthma sufferers. Doctor Tashkin is a highly-regarded pulmonologist who spent much of his career studying the effects of cannabis on various physical ailments and afflictions. The subjects of this particular study were 10 men and women with typical asthma symptoms. Asthma attacks were induced in the patients on a controlled basis, sometimes through exercise and sometimes through psychological suggestion. Some members of the control group were given medical marijuana in joint, pill, or vaporized form, while others were give a marijuana placebo. Simply stated, the results of the study show that the members of the group who were given medical cannabis experienced near-immediate relief of airway constriction, and were ultimately more relaxed and calm. Not only did they experience a profound relief from their symptoms, but the medicinal effects of the weed lasted much longer than those of a typical asthma inhaler. The control group members who were given the placebo experienced no such relief. What are your options if you’d like to explore medical cannabis as a tool for asthma management? The most widely-available selections of medical weed are expensive and of dubious quality, but growing your own is easier than you might think. Royal Queen seeds offers high-quality feminized marijuana seeds, so you don’t need to worry about putting unhealthy chemical additives into your lungs. We are proud to carry a carefully curated selection of strains of marijuana that can target the specific issues that you deal with during an asthma attack. Choose from strains like Royal Medic or Dance World to finally feel what it’s like to relax and breathe easier. To help newbie growers, we even carry seed kits complete with seeds, germination trays and instructions.